I'm always very interested in rights issue. There's a new kid on the block just announced today. That's for OCBC. They bought into WingHang bank listed in HK, maybe even over paying for it. The big idea is that they can raise the funds for the purchase by doing private placements (Boo! ), borrow money and increasing their debts (not too good, in the light of ever increasing capital requirements by central banks worldwide), and issuing rights. I think they are doing a combination of both rights and debt, which is quite a good move. 1. One rights share for every 8 existing ordinary shares. That is, if you own 1000 shares or 1 lot of OCBC shares before XR, you'll be entitled 125 rights shares. 2. Each right shares is at an issue price of $7.65. The price as of 18th Aug 2014 is about $10.20, thus it's being issued at a discount of 25% at $7.65. Again, the TERP is not a price fixed in stone. It's just an estimation of what the price would be after the rights issue, assuming everything (including price) remains the same. So take it as a rough guide that it is, nothing more. The full document is here, for those who want more details other than the salient points mentioned in this post. Okay, so how to make the best out of the rights issue? Again, I'm assuming the viewpoint of someone who doesn't have any OCBC shares to begin with, and trying to arbitrage on the price difference of the shares before and after rights issue. The rights exercise is quite friendly, because for every 8 shares you own, you'll be entitled to 1 rights shares. And since 1000 shares in one lot is actually divisible by 8, you won't have to resort of funny tricks to avoid getting odd lots. 1) we have the trading lot size for SGX reduced from 1000 shares per lot to 100 shares per lot. It's coming soon, so they say. But it's been delayed again and again. It's supposed to come in first quarter of 2014, by look where we are now. If it's reduced to 100 shares per lot, the usual method of maximizing the number of odd lots you get will be rubbished. Firstly, there's less incentives for shareholders to avoid odd lots (those not in multiples of 1000 shares), so there's less chance to arbitrage on it. Secondly, the number of excess rights to round up to round lots will be reduced drastically. 2) 1 for 8 rights exercise is too friendly. You won't get fractional rights shares which are usually discarded. I think the pool of excess rights shares that are not subscribed will be reduced drastically. 3) OCBC is a big cap. 1 lot at current price is a freaking $10,200. I suppose not many people will have more than 1 lot of OCBC shares, don't even talk about multiples of 8 lots. So assuming that a big part of the population owns less than 8 lots of OCBC mother shares, then you always end up with odd lots. Let's say you have 1 lot of OCBC shares, after rights, you'll get 1125 shares of OCBC shares. That's odd lots right? So, if we want to apply for excess rights shares to round to 2000 shares, what's the chances of succeeding when almost everyone out there is doing the same? It's not going to be high, that's for sure. Perhaps there's still a way to capitalise on this...but let me clarify my thoughts first. This time may round up to 100 shares for excess rights application since next year will be trading in 100 shares/lot? That's the thing...I'm not sure. I don't think they'll use 100 shares/lot this time, because the policy is not in force yet, so it's a bit unfair to do that. But it gives people a leeway not to care about odd lots, esp in light of the impending policy change to the size of 1 board lot. Exchange Securities Trading Limited (the “SGX-ST”) for the listing and quotation of the Rights Shares on the Main Board of the SGX-ST, subject to certain conditions, the details of which are set out in paragraph 7 below. Do this? Do what? 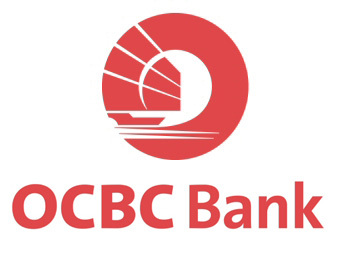 :) Are you going to buy in ocbc or sell it before the CA the following monday?